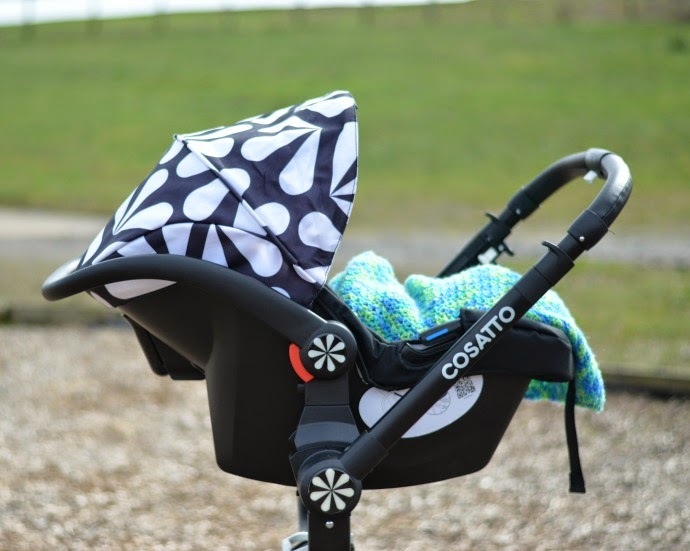 We were sent the Cosatto Ooba in Charleston to use with our newest arrival and I am really impressed with it. Not only does the Ooba look bright and fun, but it comes with some great features and extras that make it stand out. The monochrome design of the Ooba is eye-catching without being too bright and completely unisex too in my opinion. 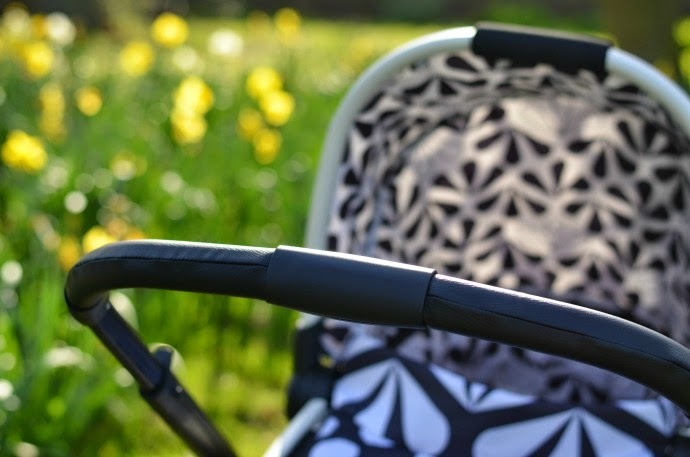 The frame is really easy to fold, using two simple mechanisms (which are handily labelled too) and folds pretty small, although the carrycot does need to be removed first. Because of the way the frame crosses over the basket, I was worried it would be hard to use, but we have had no problems putting a changing bag underneath or using it with shopping bags. The carrycot seems comfortable and Finn is mesmerised in there. As babies see in black and white in the early days, the monochrome pattern is great for them, and Finn seems to calm down once in there. The apron is easy to zip on and off and the hood clicks into place meaning it doesn't fall down. The carrycot is not huge, but seems a good size. Finn looks very secure in there though and has plenty of growing space at the moment. The brakes for the Ooba are actually controlled by hand rather than foot which takes some getting used to if you have used prams with a footbrake before, but I found it easy to put on and take off and they felt very secure. One of my favourite features of this pram, is the way the handlebar moves. I haven't had an opportunity to use this yet as Finn faces me in the carrycot, but rather than having to lift off the seat with child in to change them from parent to world facing, the handlebar simply flips over the top! I think this will be perfect for summer walks when you need to give the little one some shade, or when they fall asleep and you want them facing in. It is very simple to do, using two switches on the side. The leather handlebar is also extendable, with it coming out to a great height for me to push. 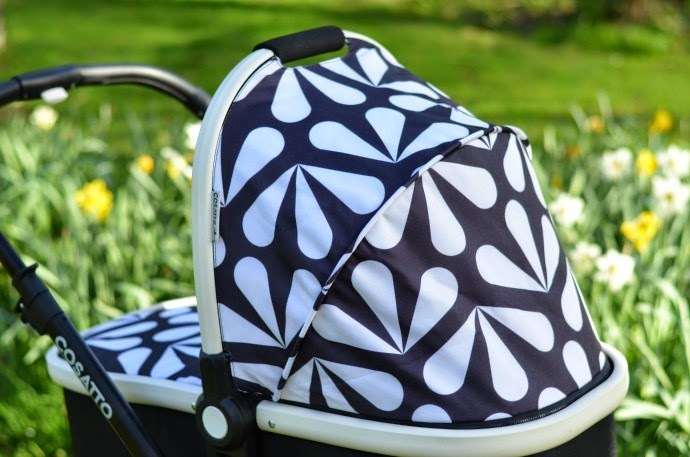 The Ooba is the first pushchair I have come across with a patterned raincover and I love this little touch. 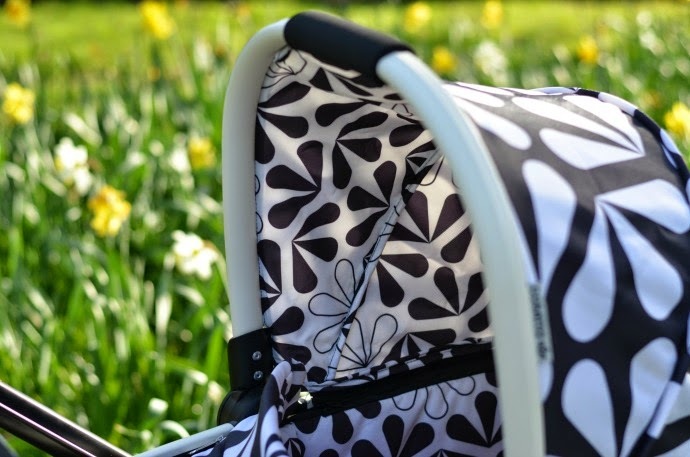 It is still transparent, but with a little design printed across it and it was easy to fit onto the carrycot. We have also used the Ooba as a travel system with the Hold car seat. 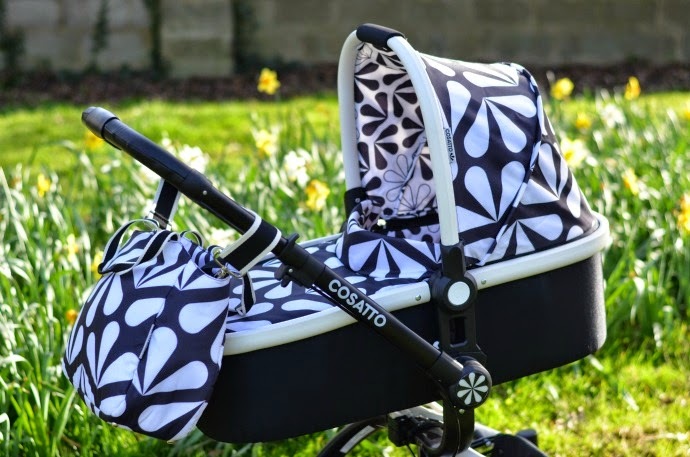 The car seat has the same fun print, and is suitable from newborn to around 15 months. It is easy to strap into a car using the three point harness or one of two static bases that can be purchased seperately depending on your model of car. 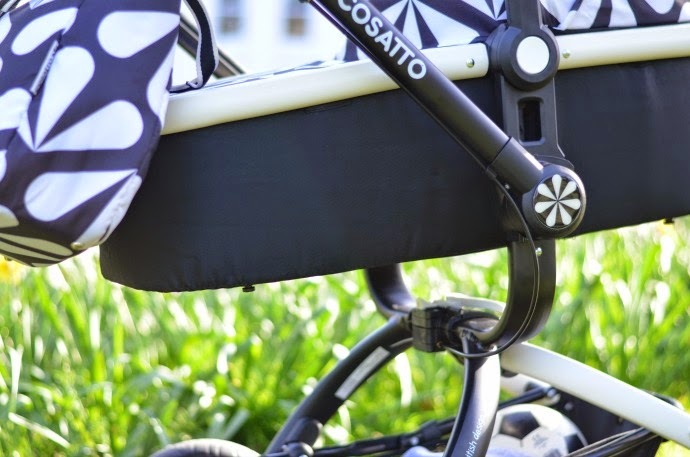 The carseat slips onto the chassis easily using the adaptors and feels very secure once attached. 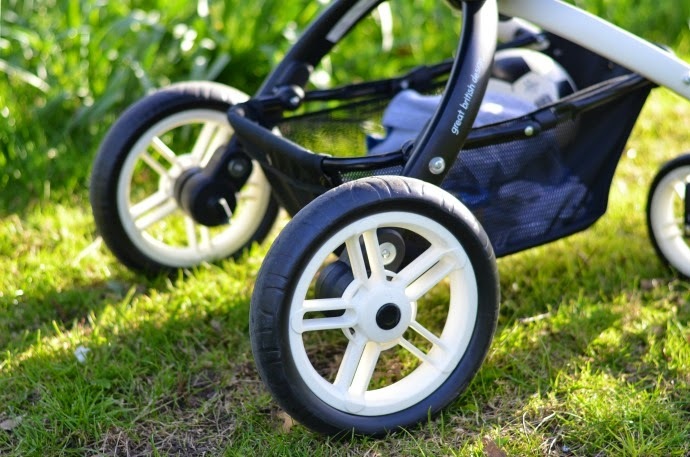 I have found this great for short trips if Finn has fallen asleep in the car, although I try to limit the amount of time he is in the car seat, preferring the flat carrycot for his spine and development. 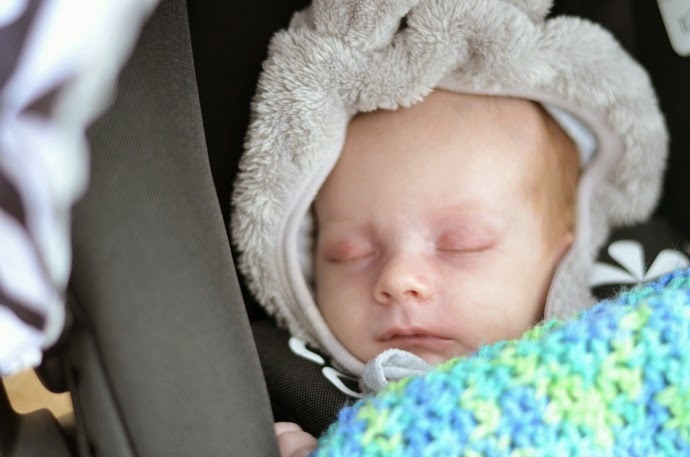 The car seat does have padded chest straps, a head hugger and a raincover of its own. The package also comes with a changing bag (complete with changing mat), which co-ordinates completely with the rest of the travel system and is perfectly sized for one child and to fit in the storage basket. The travel system comes with a seat unit, footmuff and seat raincover as well, but we haven't had a chance to use these yet, so I will be writing another post in a few months with our updates. I am really enjoying using the Ooba, I have had so many comments about the gorgeous design and I find it easy to push and use in different modes. 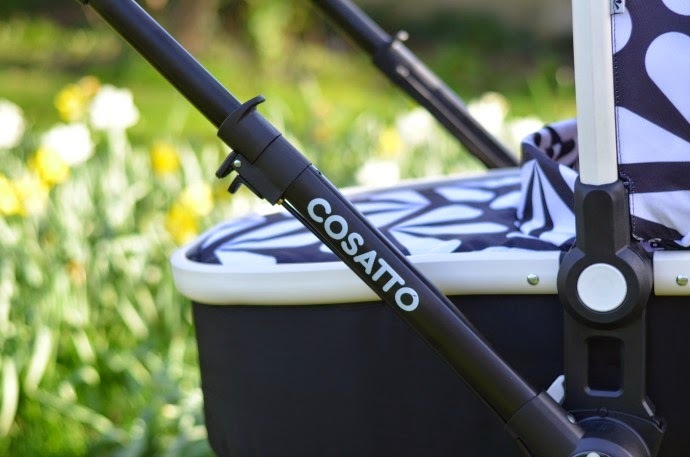 You can find out more about the Ooba on the Cosatto website. 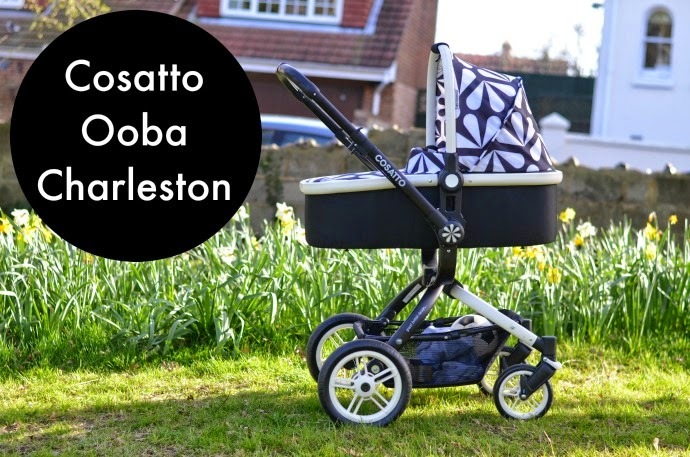 The Ooba Charleston retails at £800 for the pushchair, carrycot, raincovers, footmuff and changing bag, an extra £145 for the co-ordinating Hold car seat and then an additional sum for the carseat base depending on which style you opt for.